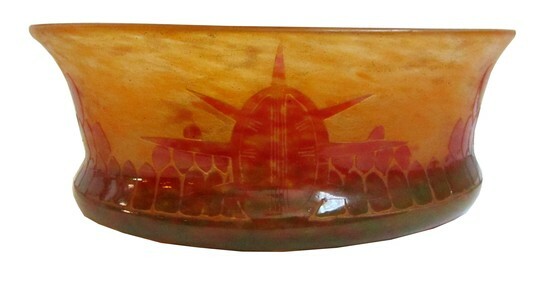 This French art deco cameo glass bowl was created by Charles Schneider (1881 – 1953) for his Le Verre Francaise line. 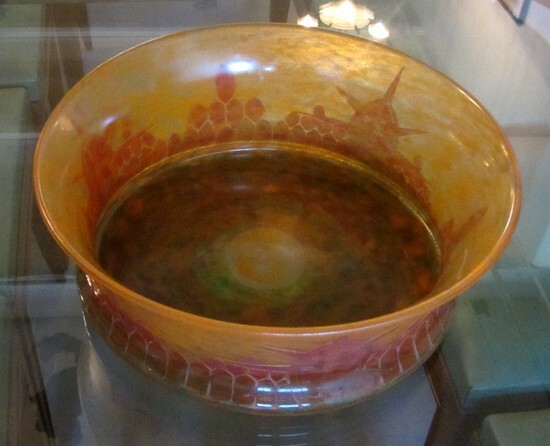 The low, waisted bowl is uncommon in his oeuvre. 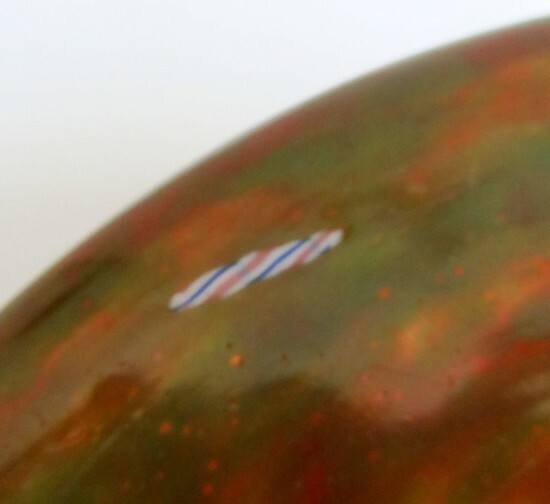 It is cut in the Tortues pattern in red and green on an orange Tango ground which was only produced from 1918 until 1921. It is signed with the Schneider candy cane set into the bottom. 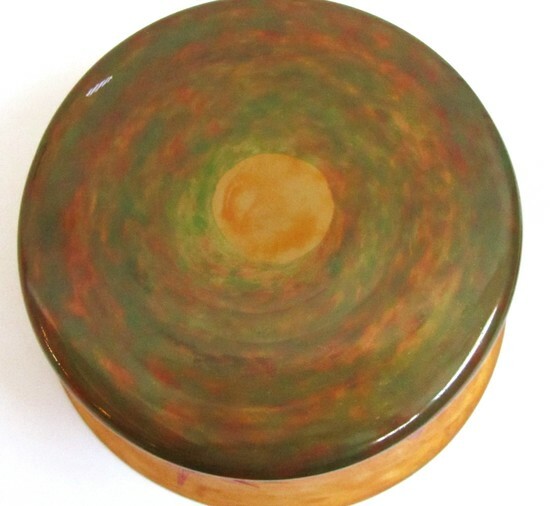 The bowl is 11" in diameter x 4" high.